They claim Ripple is just a "never-ending ICO." Uh oh: the popular cryptocurrency Ripple is scamming people. 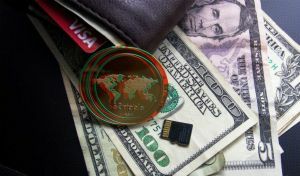 At least, that’s the claim at the heart of a class-action lawsuit filed against Ripple Labs, its CEO Brad Garlinghouse, and its subsidiary XRP II. Taylor-Copeland Law, a firm focused on blockchain and crypto litigation, filed the Ripple lawsuit in California court Thursday on behalf of Ryan Coffee and other Ripple investors. They allege that Ripple made money by breaking state and federal securities laws and purposefully misleading the public. So: some people invested in crypto and lost money so now they’re mad about it, right? Not quite. Ripple is different from most other cryptocurrencies in a very important way, and this distinction is critical to the suit’s argument. Let’s look at Bitcoin as an example. Every time a miner validates a group of bitcoin transactions (that is, adds a “block” to the “chain”), that miner receives a newly-generated bitcoin as a reward. That ties bitcoin supply to bitcoin demand. More people using bitcoins = more bitcoins in the world. To jump-start that process, new blockchain startups often hold initial coin offerings (ICOs). The company sells a percentage of its cryptocoins upfront, and then miners generate the rest of the total supply as people buy and sell the currency. Now, here’s where Ripple is different, according to the lawsuit. In short: Ripple tried to make investors think public demand for XRP was increasing organically when it wasn’t, the plaintiffs claim. They say Ripple even tried to bribe exchanges to list XRP, another indication of the coin’s growing popularity. According to the Ripple lawsuit, all signs point to XRP being a security. If it is, Ripple’s actions violate Securities and Exchange Commission (SEC) laws that require companies to disclose certain information to investors, including potential risks in investing, they assert. That’s at a time when the SEC seems poised to regulate cryptocurrencies, even those that are indisputably following the rules. Ripple, meanwhile, seems to be taking the filing in stride. Negative press has affected the value of cryptocurrencies before, so the Ripple lawsuit could hurt the company even if the court doesn’t side with the plaintiffs. For now, investors seems to have two options: sell or HODL as this plays out in court.